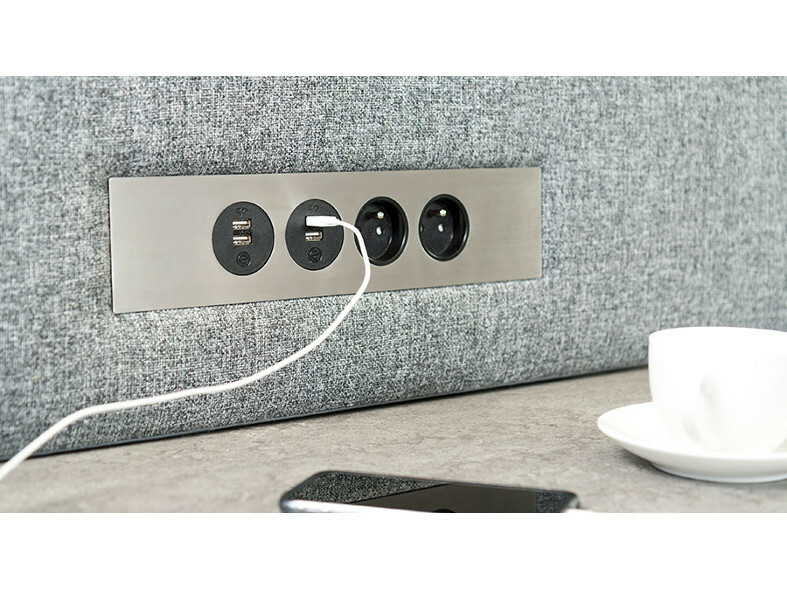 PETRA is a premium panel mount power and data solution from OE Electrics, designed to complement the very best in contemporary office furniture. 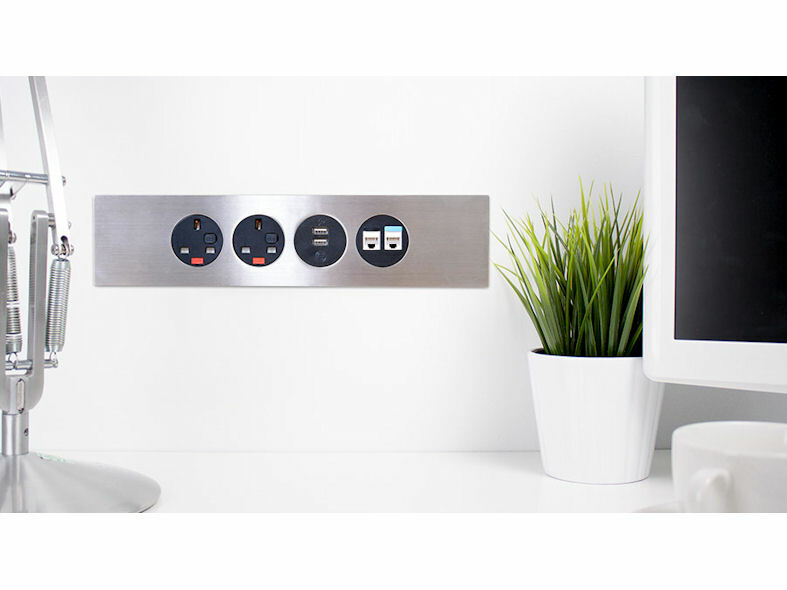 The design highlight of PETRA is the one piece matt white or brushed finish stainless steel socket frame, with contrasting circular black or grey power and data fascias. 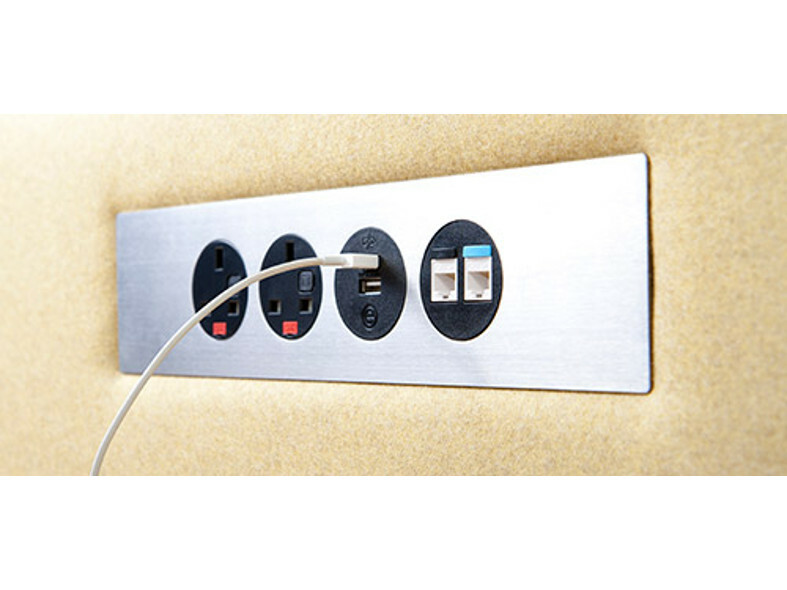 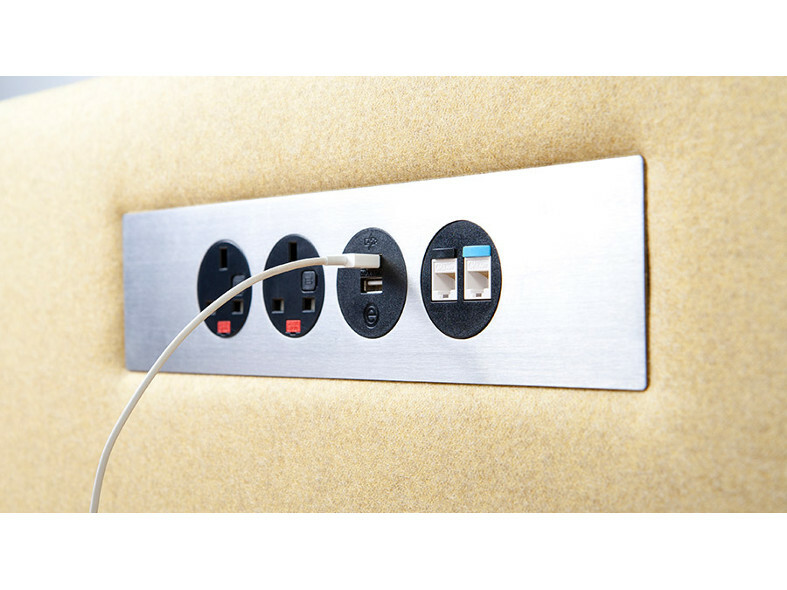 PETRA's four socket apertures can be fitted with your choice of UK or international power sockets, the class leading OE TUF5A USB charger and data/AV connections. 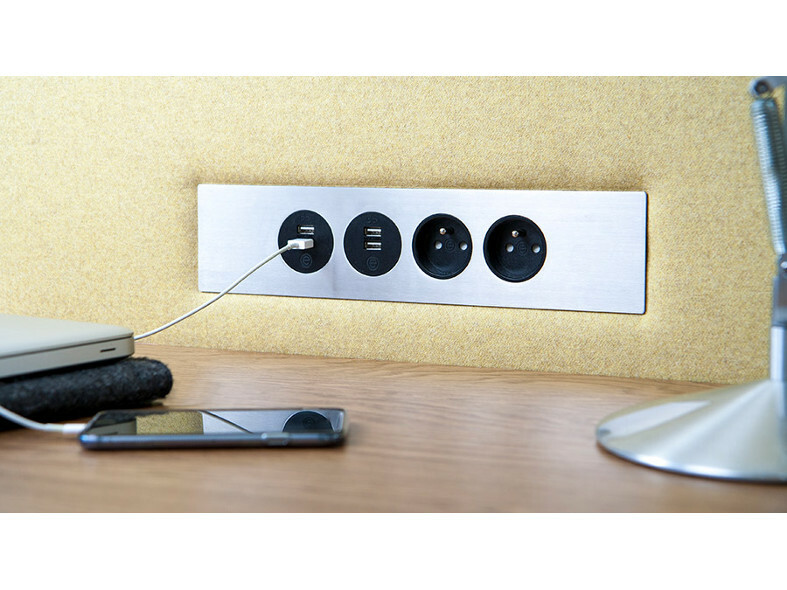 PETRA's built in mounting clips allow fast on site or factory screwless installation into screens from 5mm to 15mm thick.